The approach of a new year always brings with it the hope for change. Money rather than good intentions is at the heart of most objectives and what it takes to achieve goals. Whether it is to get out of debt, improve your health, go back to school, retire early, travel, buy a home or start a family, it is necessary to implement a financial strategy that also align with your dreams. The challenge is to create an actionable plan that will transform hope for change into reality. Funding goals often demand a level of discipline to stay on track with saving to meet the financial requirements inherent in any goal. 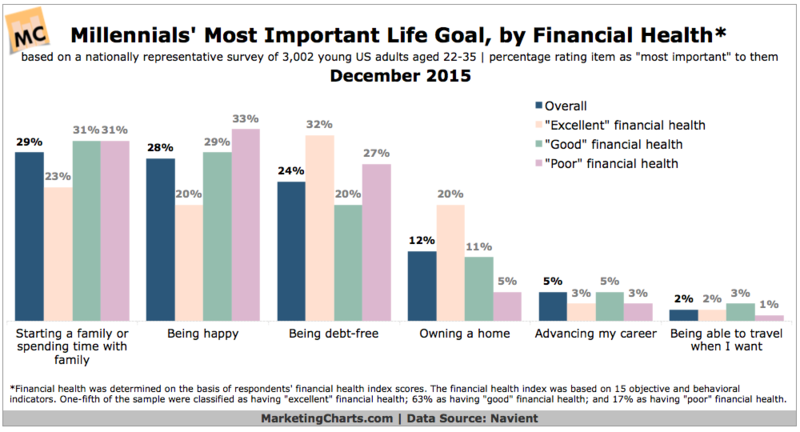 For instance, based on the chart below, financial health is the determining factor in achieving what most people suggest is their most important life goals. For the most part; these are nebulous desires that have been the same for many people a decade ago, as it was in 2015 and will be in 2017 and beyond. Since it is clear that money is the critical component to take dreams from the realm of wishful thinking into reality, it may be helpful to consider utilizing the “SMART” method to get you on the right fiscal track for your new year’s resolutions. 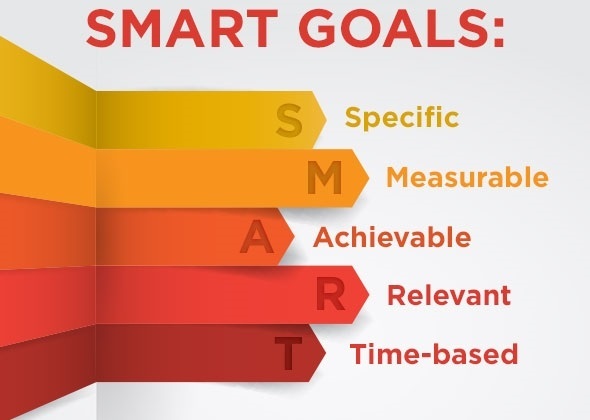 The “SMART” concept was designed as a management tool to help businesses set and achieve their corporate objectives. This simple yet logical framework has become widely accepted and adapted for personal financial goal setting. It involves some straight forward strategies that work cohesively to help achieve success for even the most challenged goal setters. Specific – Being specific about your goals means reviewing your spending habits to see where you need to plug up damaging financial leaks. Conversely, having only a vague or generalized idea of what you want to achieve and how much money you need to achieve it, is a recipe for failure. Take a good look at your checkbook register, receipts and bank statements to get a realistic picture of your past spending habits and how it has impacted your ability to save or meet other personal goals. With a clear picture of where your money is going and a specific idea of what it will take to get and stay on track, the better your odds will be of reaching your goal. Measurable – Now that you know exactly what you need to do and have from a financial standpoint to realize your goals, it is time to make it measurable. Being able to see the progression towards the goal can inspire you to keep moving forward. For instance; planning to save half of the down-payment for that new car in a reasonable amount of time that is based on the specifics of your income and daily obligations will help you to see the progress toward that first small step. Measurable goals can be tracked and allows for adjustments to accommodate unexpected events that may impact the target dates without completely derailing the primary objective. Achievable – The goal will only be successful if it is achievable. Don’t expect to save $1000 a month for a down-payment on a house if your monthly bills and expenses only leave you with $500 in disposable income from which you plan to save. Make it achievable by consistently socking away $300.00 every month and adjusting the time frame and the amount you are able to save if your financial picture improves. While it may take you longer to reach your goal, you are less likely to experience the level of frustration that cause most people to abandon their dreams. Relevant – A goal that is relevant to you and your life aligns with your financial realty and your personal values. To be relevant, the goal needs to matter or have significance to the goal setter or it will be easily discarded. Relevant goals are also realistic and attainable within the constraints of available resources. Timely – Break down the steps you need to take into specific time frames and numbers. Once the goals have been set in motion with realistic timeframes you are then able to launch progressive actionable steps that can help you to move towards the goal methodically.